Uveal melanoma is a type of cancer that originates in the eye. Although it shares the same name (melanoma) as skin melanoma, the genetic and biological characteristics of uveal melanoma are quite different from those of skin melanoma. As occurs in all malignant tumours, the main feature of uveal melanoma is the rapid growth (proliferation) of genetically-damaged cells. Initially, the tumour originates in the uvea—the vascular layer of the eye, which consists of the choroid, the ciliary body, and the iris. During the course of the disease, these cells can spread (metastasize) to other parts of the body—most commonly to the liver—through the blood. Although uveal melanoma is the most common type of eye cancer in adults, it is actually a rare disease. In Europe, the incidence rate is around 2-8 cases per million inhabitants per year. It affects both men and women, typically occurring around age 60. In most cases, it is a non-hereditary cancer. 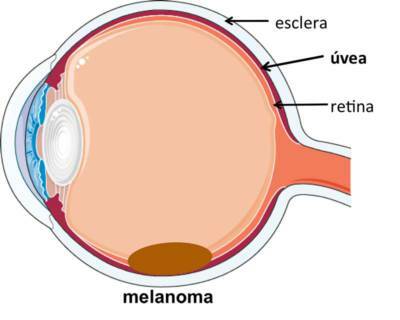 Unlike skin melanoma, there are no well-defined risk factors for uveal melanoma. However, individuals with fair skin and eyes have a higher likelihood of developing ocular melanoma. For reasons still unknown, a series of genes in the cells of the eye become altered, and these genetic changes then promote the uncontrolled growth that lead to the development of a tumour. A complete ophthalmological examination is required to make the diagnosis. This includes an examination of the eyes with the pupils dilated. In most cases, the ophthalmologist will also examine the eye by ultrasound to accurately measure the tumour size and to confirm the diagnosis. Very rarely, a biopsy (extraction of a tumour sample) may be needed to confirm the diagnosis. Unlike most other cancers, the clinical signs and imaging tests are usually sufficient to make the diagnosis. Currently, the main role of biopsy is to help to determine the prognosis based on the genetic characteristics of the tumour. There are several different treatment options for tumours that have not spread beyond the eye. The most appropriate technique will depend on the particular case, with the most important factors being the size and initial characteristics of the tumour. Broadly speaking, there are two main treatment options: 1) eye-preserving therapies and 2) enucleation (removal of the eye). In Spain, the most common eye-preserving treatment is brachytherapy. How does it affect other parts of the body? Uveal melanoma cells tend to leave the eye and spread to other parts of the body through the blood. This process is known as metastasis. The liver is the most commonly affected organ. For this reason, once a patient has been diagnosed with ocular melanoma, a series of tests are performed to determine if any malignant cells have spread outside the eye. These exams are usually managed by medical oncologists. The prognosis is significantly worse if metastasis is detected. In fact, metastasis is the leading cause of death in patients with ocular melanoma. What do we perform research? Cure rates for skin melanoma have improved notably in recent years. Unfortunately, this has not been the case for uveal melanoma, in which survival rates have not improved in more than four decades. This lack of progress is because the scientific community has not yet identified the exact mechanisms that cause this type of tumour. Nevertheless, much research is currently underway to better understand this disease in order to find more effective treatments. Our team seeks to improve our understanding of uveal melanoma. For this reason, we are investigating the molecular mechanisms that lead to disease onset, progression, and dissemination (metastasis). Our aim is to understand the changes that take place in our cells that allow tumours to grow inside the eye. 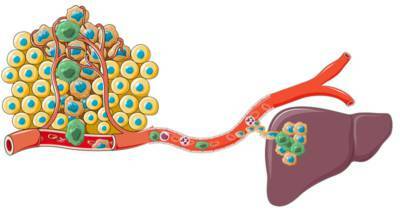 We are also studying why and how some tumour cells travel through the blood to the liver. Most of our research work is based on the clinical data from our patients, but also on laboratory experiments in animal models and cells. Ultimately, we believe that if we can better understand the specific mechanisms that cause uveal melanoma, we will be able to better manage the disease in the future.